Nestled in the North Cascades, The Methow Valley is a premiere destination for art, outdoor recreation, fishing and food. With bountiful sunshine, cold waters, deep snow, gorgeous views and an abundance of art, culture and recreation, visitors and locals find all sorts of things to do and see—for a vacation or a lifetime. We pride ourselves on our place, our connection to nature, and our welcoming, diverse, hard-working, fun-loving community. 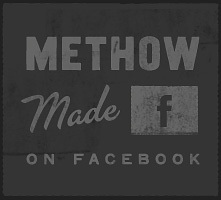 To visit the Methow is to become a friend. Few people visit the Methow just once! The Methow Valley is a hub of artistic energy. The Winthrop Gallery, Confluence Gallery and Art Center, and TwispWorks are all home to openings, studio tours and more. The Merc Playhouse offers high quality live theater ranging from kids shows to adult dramatic presentations. The Methow Valley Interpretive Center offers rotating exhibits on the geology, natural history and Native American history of the Valley, while the Shafer Museum in Winthrop chronicles the development of the area through mining, agriculture and logging. The Methow Valley is a dreamland for visitors who like to hike, swim, ski, bike, climb – you can pretty much name an activity and we have it. In the summer, enjoy world class hiking, backpacking, mountain biking, trail running and climbing, all within minutes of downtown Twisp or Winthrop. Winter brings deep powder to the high country and endless fun on 200+km of groomed Nordic trails in the MVSTA trail system. Hunters, anglers, snowmobilers, just pick your season-we’re an awesome destination for all of the above.